Vice President Venkaiah Naidu on Monday rejected the impeachment notice against Chief Justice of India (CJI) Dipak Misra, which was moved by the Congress-led Opposition on Friday, citing lack of substantial merit in it. 12:04 pm: Kapil Sibal, Vivek Tankha, KTS Tulsi to hold special press conference at 3 pm at AICC headquarters. 11:58 am: While reviewing the notice, Rajya Sabha officials had mentioned that making public the contents of a notice before it is admitted by the Chair, is in violation of parliamentary rules, informed sources said. 11:23 am: Conversations between third parties with dubious credentials, which have been extensively relied upon, cannot themselves constitute any material evidence against the holder of the office CJI, said Naidu in the order. 11:05 am: Venkaiah Naidu also said that addressing the media after moving the impeachment notice against CJI was not correct, and violated parliamentary dignity. 10:30 am: The Vice President asserted that there was no concrete reason behind the allegations against the CJI. 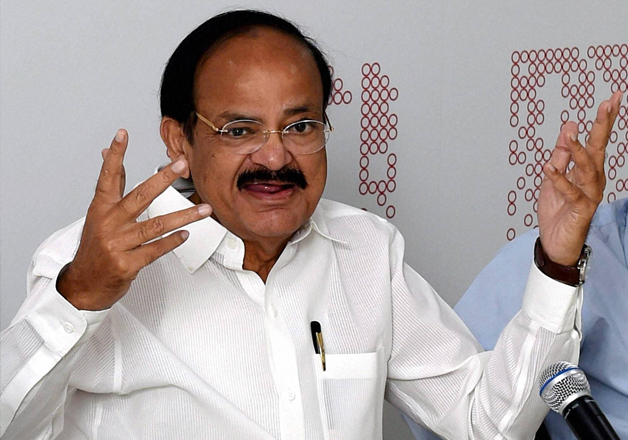 10:11 am: Vice President Venkaiah Naidu rejected the impeachment notice citing lack of substantial merit in it. 10:02 am: Rajya Sabha chiarman Venkaiah Naidu rejects impeachment plea against Chief Justice of India Venkaiah Naidu. 10:01 am: The Congress was also trying to build up "moral pressure" on the Chief Justice of India in the hope that he would step aside from judicial duty if an impeachment motion was moved against him. 10:00 am: Officials told PTI news agency that Naidu spoke to former Lok Sabha secretary general Subhash Kashyap, ex-law secretary P K Malhotra and former legislative secretary Sanjay Singh as well about the issue. He also held deliberations with senior officials of the Rajya Sabha Secretariat, they said, adding that Naidu also spoke to former Supreme Court judge B Sudarshan Reddy. 10:00 am: Yesterday, Congress leaders said that the party is considering moving the Supreme Court if the petition is rejected. They said if the Upper House chairman did not find merit in the notice for the impeachment, the decision could call for a judicial review. 09:58 am: Seven opposition parties, led by the Congress, initiated an unprecedented step last week for the impeachment of CJI Misra by moving a notice levelling several charges against him. As per Article 124 (4), "A Judge of the Supreme Court shall not be removed from his office except by an order of the President passed after an address by each House of Parliament supported by a majority of the total membership of that House and by a majority of not less than two-thirds of the members of that House present and voting has been presented to the President in the same session for such removal on the ground of proved misbehaviour or incapacity."